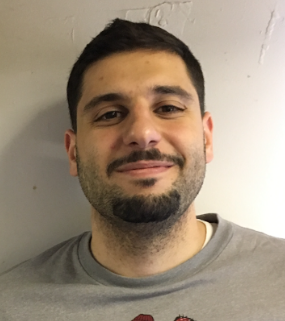 Jalal Abdallah is a summer intern for Deadline Detroit. The Dearborn native is a graduate of the University of Michigan-Dearborn and a student at Thomas M. Cooley Law School at Western Michigan University. This is the first of two parts. Wednesday's installment is an interview with three Muslim millennials from Dearborn. Jalal Abdallah; "Mainstream media covers Muslims in Southeast Michigan ... like dancing circus bears." Plato once said “Strange times are these in which young and old are taught falsehoods. And the person that dares to tell the truth is called at once a lunatic and a fool." That quote may apply more to contemporary America than it did to the Greeks, who read it all those millennia ago. Historians, sociologists and philosophers of the future will undoubtedly look back at this era as the rise of nationalistic populism, anti-Beltway politics and the decline of political correctness. But perhaps more than anything else, this era may be associated with the falsehoods spread about Muslims, and Muslim-Americans in particular. Muslims have been among the most scrutinized and over analyzed ethno-religious diasporas for decades. And the scrutiny has intensified in the Trump era in which diversity is not necessarily seen as a good thing. Our national consciousness has for years discussed and debated ad nauseam Muslims' place in our society, both privately and in the media. People have tried coming to terms with how Muslims fit into the American narrative and questioned whether Muslim-Americans have really embraced the ideals of western civilization and America. These questions have almost become cliché. CNN, MSNBC, PBS, FOX News, and Real Time with Bill Maher debate these questions with great frequency. Muslim-Americans are always finding themselves having to defend their patriotism and Americanism. The constant public relations game of playing defense has taken a toll on the image of Muslims nationally and locally. Instead of being portrayed as the diverse and eclectic people that they are, they find themselves trying to placate a fearful American audience often filled with unfounded hate and fear mongering. Over and over, mainstream media covers Muslims in Southeast Michigan -- one of the largest Muslim populations in the country -- like dancing circus bears. The gist of this popular narrative is, “Hey Muslims like baseball and apple pie too, they don’t want to chop your head off!” The reports then invariably stitch a lazily made collage of images of local Muslims participating in Friday prayer at their local mosque, some local Middle-Eastern eatery and kids throwing a football around so the viewer can relate to these people. It seems that the narrative always has to include a footnote that young Muslims in particular are at risk of religious fanaticism and they must be appropriated to fit into society. This of course is a disingenuous sentiment that fails to tell the true story. The truth is, the community is much more complex than what the media has portrayed. In Dearborn, there’s been a generational clash between many millennial Muslims and their immigrant parents. Ideals and morals have been challenged in the community, and political attitudes all across the spectrum can be found here. You can find young Muslims who can argue the pros and cons of Brexit and go to punk rock and underground hip-hop shows just as easily as you can find them at a mosque performing Friday prayer. Bernie Sanders and LeBron James have more sway on the minds of a large number of millennial Muslims in Dearborn then do Islamic religious scholars. That's something for the media, and the public as well, to keep in mind when trying to understand the community. It's easy to make generalizations. Part 2: Three local twentysomething Muslims who grew up in Dearborn talk about prevailing social and political attitudes.